There's a patch of dry ground in Minnesota. It's thirty-six feet long, and a little wider than two gondolas on trailers. It has no snow on it because on top of that ground are John Kerschbaum's beautiful Venetian boats. On top of those boats there are tarps - expertly tied and anchored by the gondolier who loves them. I took my last gondola out of the water last Monday. This week a snow storm hit. I got them covered just in time. 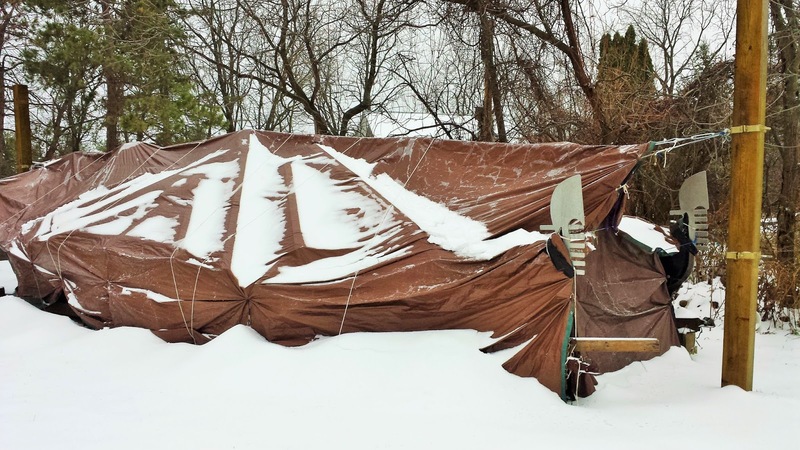 Snow, on tarps, on gondolas, on ground...in John's yard. it was 35 degrees and windy. 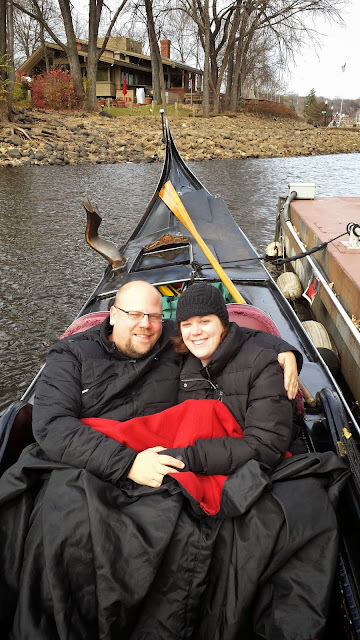 This couple had a great time. As you can see, John's couple has a great attitude. They're not gonna let a little on-coming-winter ruin their fun. I have relatives who would heartily agree. it was a lot warmer with the sun shining. Here's a snap from the back. Of course all good things must come to an end (for the year, at least). End-of-season hauling is a ritual of sorts. John has great friends who are happy to lend a hand. Here we see Donna getting a ride to the boat ramp. Donna is a dear friend on mine. I call her my chosen sister. in or out of the water Donna is there to help! This time we did a car drop so Donna could enjoy being rowed 2 miles to the ramp. 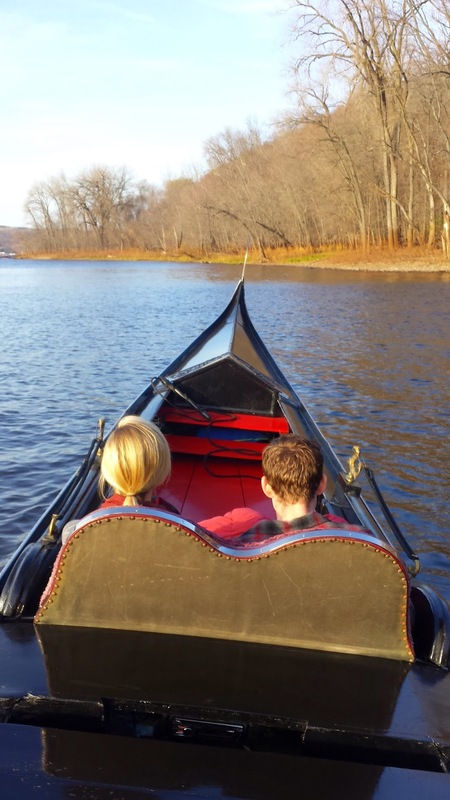 Winds and currents are common on the St. Croix River. as was the case on this day. My friend Rick rowing in the front. Taking a selfy while waiting for the truck. John has a very interesting way of supporting that oar. Keep livin' the dream, John. We'll see you here in California for Valentine's Day.